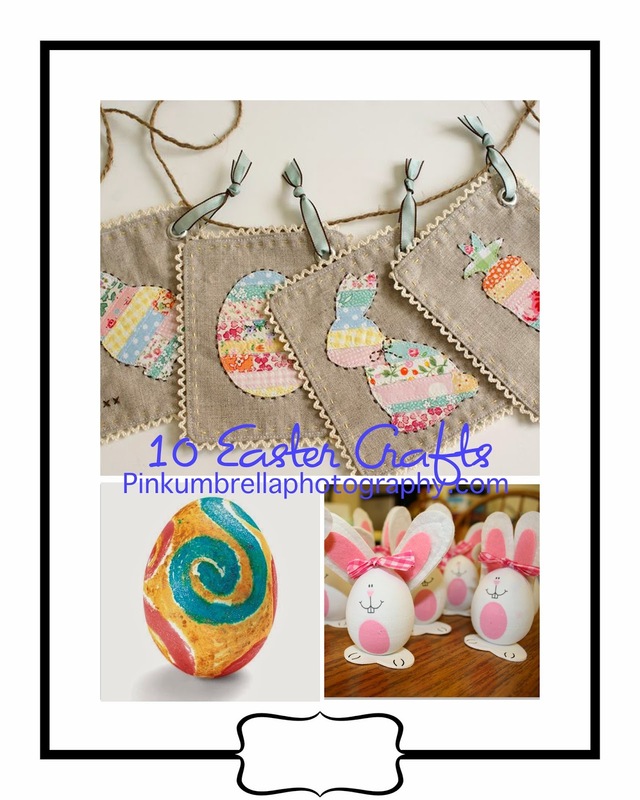 Pink Umbrella Photography: Ten Easter Crafts! Easter is on its way and with Easter comes Spring. I LOVE Spring, way better than winter. Easter is an exciting holiday in my family. There are a ton of little ones and seeing them all dressed up is always fun. 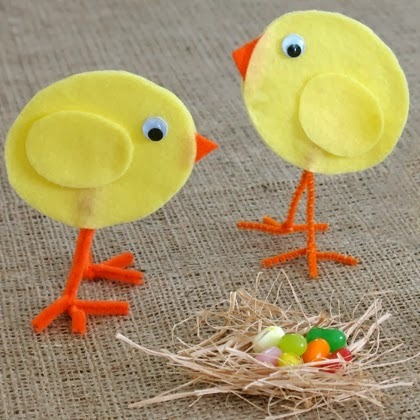 I have made a list of Easter crafts. These are mixed with kid friendly crafts as well as fun things for those crafty moms to do. This craft is super cute for all ages. Its also easy and cheap which is a plus. Head over to Spoonful to see the supply list and instructions. This next craft is super cute as well. Love how they use the window to see the different colors. This is something you could do as a craft for a school party and decorate with it at home. LOVE! Over at Better Homes and Gardens I found this idea for decoration and fun. This idea has a simple craft list and one of those is water balloons. Check out the how to now. This is so cheap and fun. 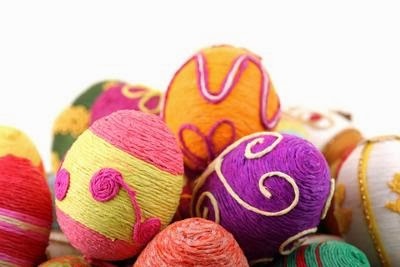 Plus you can always use the Easter eggs if you ever decide you want something different on your mantel. Check out the tutorial over at Eclectically Vintage! 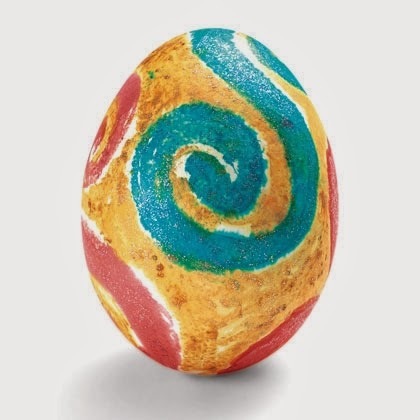 Painting Easter eggs are my favorite. My kids love this to. I tend to like the bright colors so this idea is perfect. Its really easy. Head over to Spoonful to see the supply list. This idea is simple but cute. 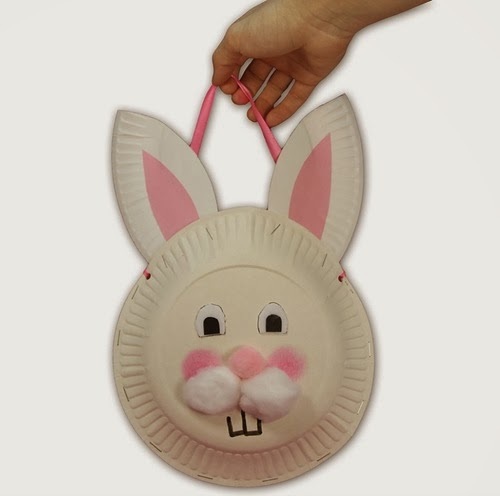 You can put a string on the back and make it a little bunny basket to carry candy. I found this idea over at Lushome and I just love it. She has easy directions as well. These little bunny eggs are to cute. 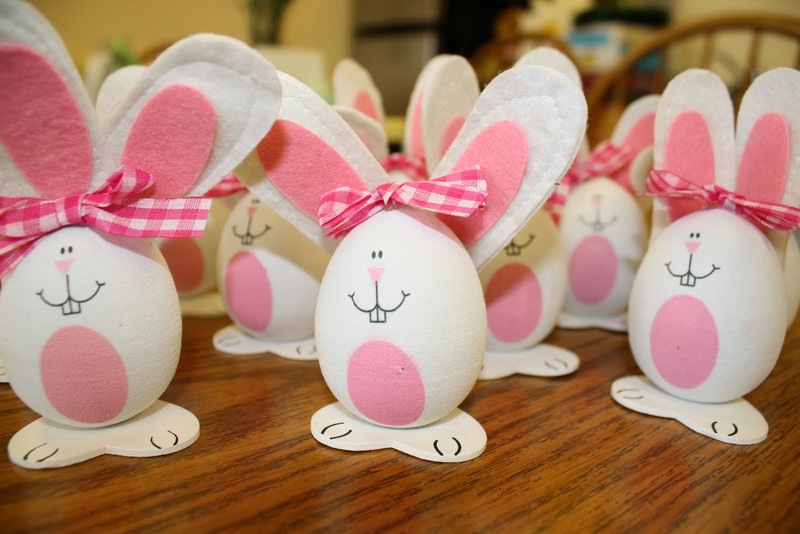 Your little ones could do this instead of coloring the eggs. Mix it up a little bit. I found this idea over at Serenity Assisted Living. Super cuter and fun. I LOVE decorating now that we have moved into our house. 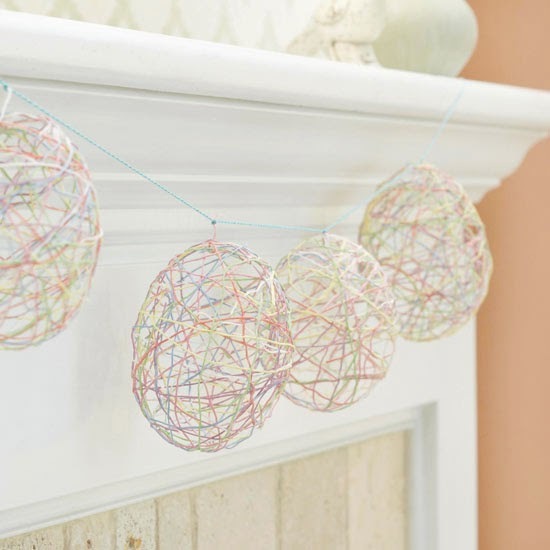 This garland idea is super cute and fun. I just wish I could actually sew. Check it out over at Nana Company. 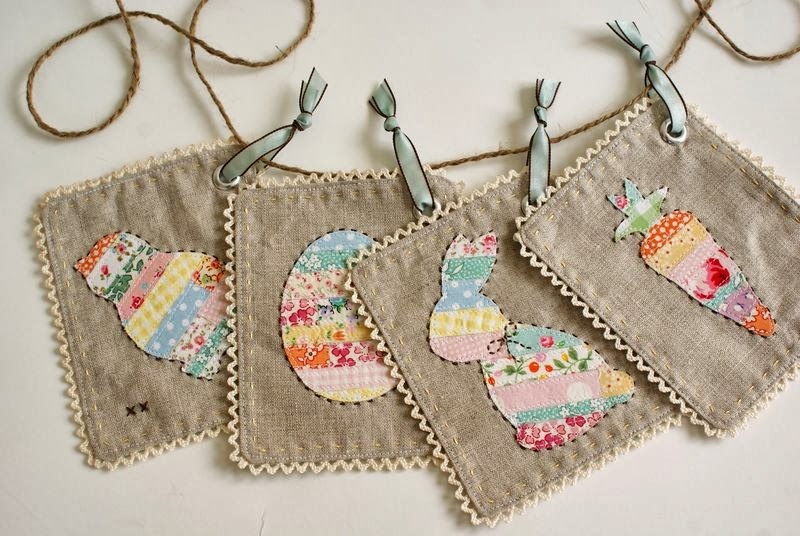 She even has the templates for the cute little carrot, chick and Easter egg on the garland. 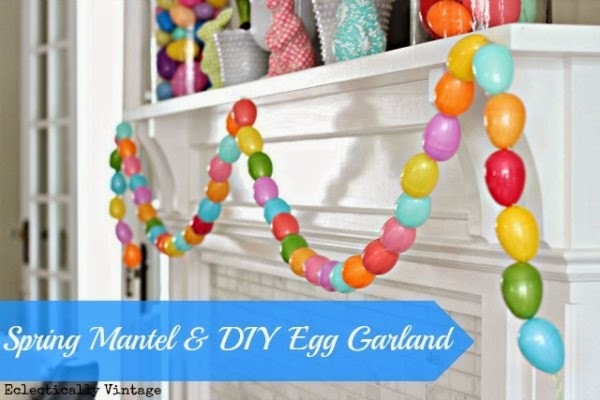 Here is another different type of garland I thought was so cute and different. 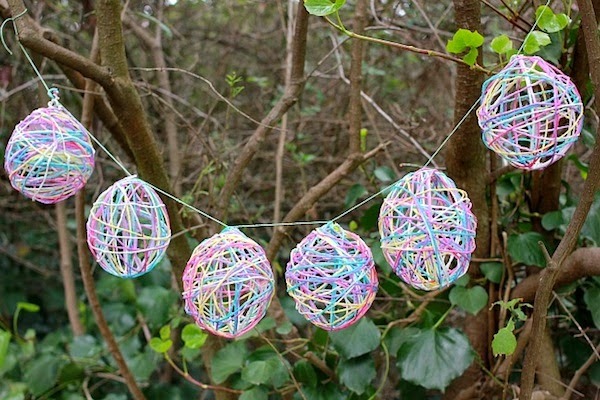 All you need is some modge podge and water balloons and of course some yarn. You can get the yarn in whatever colors you would like. I found this over at Mod Podge Rocks. This next idea makes a fun activity for you kiddos but also is a fun decoration you can use around your house or as a center piece on your kitchen table. I love this idea because the kids can help do these. I found this idea over at Inspired Parenting Tips. Check it out for the full tutorial. 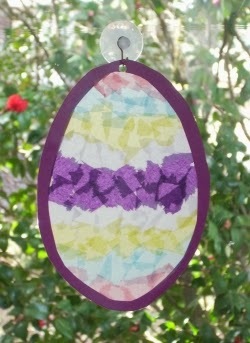 I hope you enjoyed these fun Easter crafts. Now I have the itch to make something. Happy Easter!